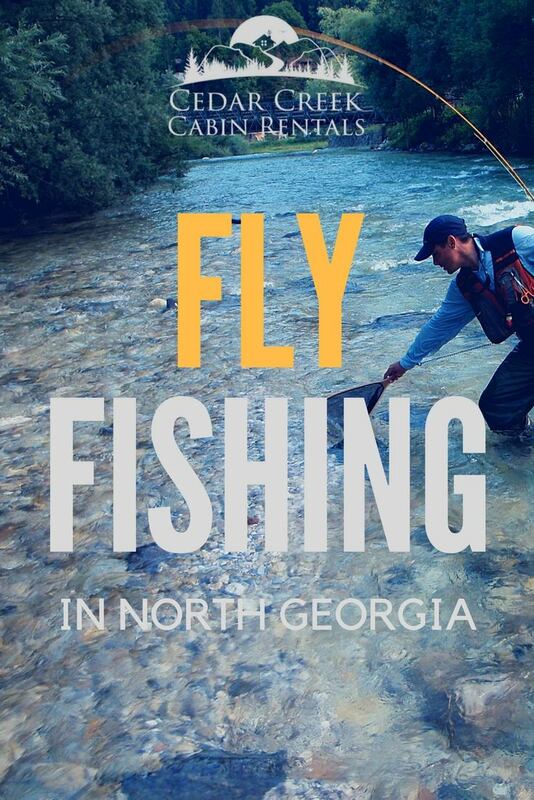 There are numerous Fly Fishing locations and opportunities in close proximity to Helen Georgia. The nearby Chattahoochee river and its tributaries are full of native rainbow, brown, and brook trout. Below we share important keys to successful fishing, or shall we say catching? Let's get started. After a great deal of research and experience Fly Fishing on the Chattahoochee, I've discovered a few vital insights to ensure your fishing becomes catching. The first is fishing in harmony with the trout stocking programs, and the other is to understand the insect hatching phases throughout the year. When you master "matching the hatch", complete your due diligence on the specific areas and times that fish have been stocked in the river, you'll have a higher success rate in catching fish. 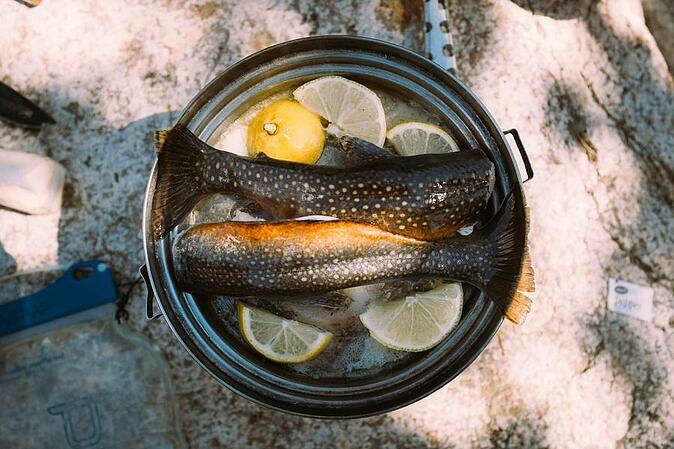 Let's start by exploring the trout stocking program. So you may be asking yourself how would I know when fish are being stocked and in what sections of these north Georgia rivers? A great starting point is the Georgia Department of Natural Resources. They list all of their stocking information on their website and the Georgia Wildlife Resources Division actually stocks trout into the streams in Georgia. It is crucial to be checking this site before your trip as they are stocking weekly in different locations. Also a great number to utilize is 1-800-366-2661. This will take you directly to the Georgia DNR fishing resources division. Here you will be able to check the river flow in regards to Chattahoochee River CFS, timing of the stocking program, and you can purchase a fishing license. Make sure to have a license on you because the game warden does patrol the Chattahoochee river. It always helps, for your peace of mind, to know your purchase contributes to Georgia's natural resources. While Fly Fishing, it is very important to remember that native and stocked trout both key in on the forage that is most prevalent and customary to the water source during certain times of the year. This means it is crucial to focus on the aquatic insect life that hatches in certain phases throughout the seasons. In general, we'll see blue winged olive mayfly hatches during the winter months and terrestrials in late summer. To clarify this scenario here is a hatch chart defining specific insect hatch times. You do not have to be an aquatic insect ecologist to get it right! There are thousands of different aquatic insects and many more fly tying patterns to match the insect life. This is not to scare you, but to help you to understand that your knowledge and ability to read the water and insects is vital. When this is combined with the understanding of specific flies and what matches each particular insect, you cannot go wrong. To have an incredible fishing adventure, keep it simple. 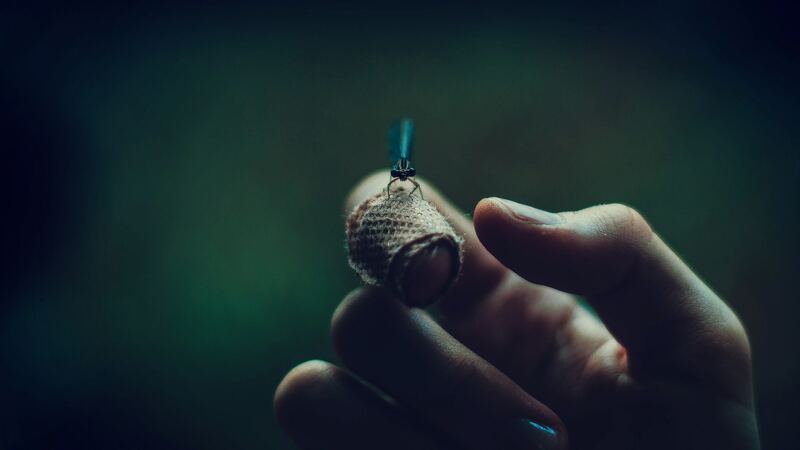 Once you've identified the insects that are either coming off of the water from the emerging stage into the dun stage then you will select a fly that either is sub-service to appeal to the emerger's or a dry fly that represents the dun or spinner fly that is laying its eggs. The multiple stages of an insects life can get a bit complicated, but the key is to know where the trout are feeding on these insects. Is the fish coming out of the water to take the fly or are they merely sipping from the surface? Once this is determined and you understand what type of insect the fish are eating, you'll know how best to select a fly. Most of the trout you'll come across will be stocked fish, but there can be the occasional native trout that has come down stream from the headwaters of the Chattahoochee. There is a great deal of information to consume about reading the insect life and selecting the right fly, but keep it simple and keep trying new patterns until you find the one that works! While fishing in the North Georgia Mountains, we invite you to stay in on of our comfortable and luxurious cabins. Our cabins in and around the city provide an unbelievable place of relaxation after long days of fishing. Imagine returning from an exciting day of fishing and jumping into a hot tub with an incredible mountain view or warming up by the campfire underneath the starlit sky? It will be a fly fishing trip you will never forget. 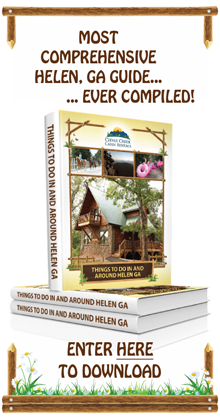 Click here to view our cabins. 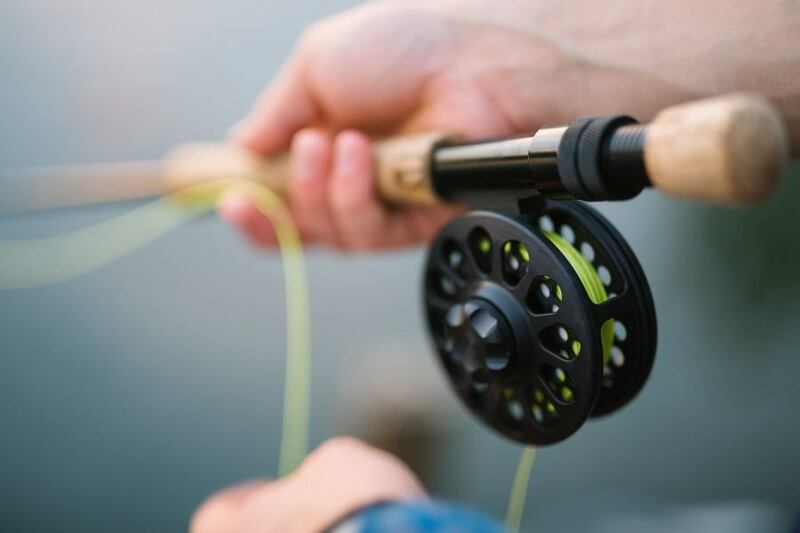 Whether you need tackle, flies, or a fishing license, these great local companies can serve your fly fishing needs.